Kush Promotions the Leading Promoter of Urban films in the UK Presents The Exclusive “DON’T MISS” screening of hit romantic-drama 'THE LAST FALL' starring Lance Gross at the “FILM BOUTIQUE” on Sunday 22nd September 2013. 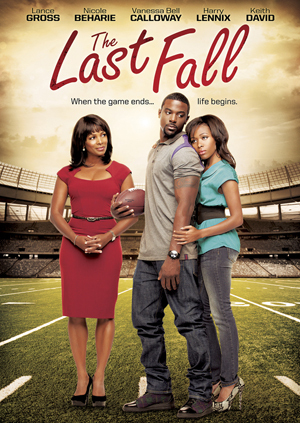 THE LAST FALL tells the story of Kyle Bishop (Lance Gross), a journeyman professional football player who retires broke at age 25 with no idea what to do next with his life. Forced to move back home and reconnect with his loved ones, Bishop struggles to deal with life's complexities after his professional career is over.